We want to work with UK companies to deliver the first new nuclear power station to be built in the country for over 20 years. We’re doing everything possible to ensure that UK manufacturers are capable of winning their share of contracts. A large number are already working on, or have become preferred bidders for, Hinkley Point C and some firms have successfully come together to form joint ventures to work on the project. So far, more than 4,000 local businesses have registered their interest with us and we’ve signed South West contracts with a combined value of £1.3 billion. Hinkley Point C can help rebuild Britain’s industrial capability, supporting construction of UK infrastructure and acting as a showcase for the international market; a launch pad to a share of a potentially huge international market as world demand for energy continues to grow. Working with us can help your organisation grow your skills and experience in the nuclear sector. Explore this section to find out more about how you can get involved. To ensure the success of our proposed new nuclear projects - Hinkley Point C and Sizewell C - we are developing a robust supply chain from a wide range of international, national and local firms. That’s why we’re working closely with the Chambers of Commerce in the regions, to make sure that local businesses can easily find out and apply for supplier opportunities. You can find out how to register your interest below. Please note, your information may be shared with our Tier 1 contractors who are looking to develop their own supply chain for the project. If you have any questions about our supply chain, please email nnbsupplier@edf-energy.com. Somerset and South West businesses can register their interest in working on the proposed nuclear new build project at Hinkley Point C by visiting hinkleysupplychain.co.uk. Register your interest in working on the proposed nuclear new build project at Sizewell C by visiting sizewellcsupplychain.co.uk. If your company is located outside the local regions, please register with the National database. If you have already registered with the National database you can sign in here. 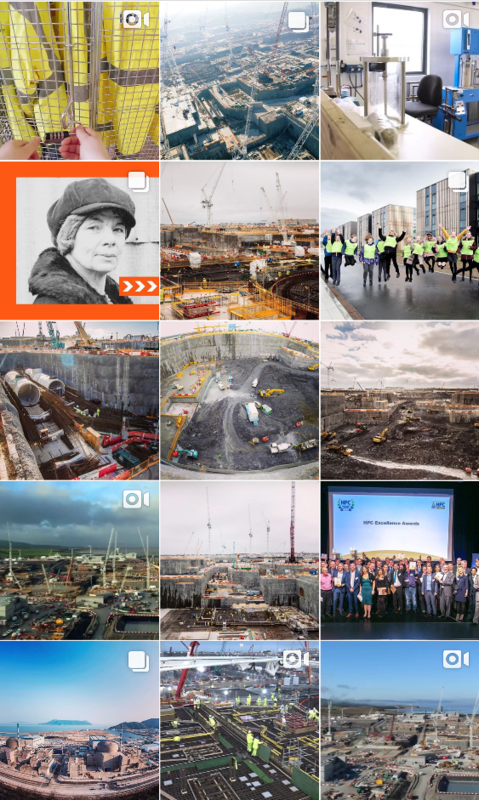 Hinkley Point C is a vast project divided into hundreds of distinct work packages spanning everything from main earthworks to the valves within the reactor itself. The procurement landscape has been simplified into an interactive tool which will allow prospective suppliers to identify both existing and future opportunities across the whole supply chain. Click on the link below to access the work package and contract listing page. Our £19.6 billion investment in Hinkley Point C, followed by a second proposed development at Sizewell C in Suffolk, will create exciting opportunities for businesses - during construction and once the plants are operating. We expect that around 64% of Hinkley Point C’s construction costs can be spent in the UK, building skills and expertise for the future. Local companies are growing their skills and experience with contracts being delivered for everything from construction – remediation works, road improvement, ground works, fencing, plant hire, material transport – to site services – catering, reprographics and design, fleet hire, landscape maintenance, electrical services, road sweeping, waste management – and supply of goods and materials – aggregate supply, building materials and consumables. There are many contracts available for businesses during construction of Hinkley Point C. The route to a share of these is varied: companies could work directly for EDF Energy or for one of our key delivery partners or indeed further into the sub-contract supply chain. We've prepared a booklet called Hinkley Point C Supply Chain – be part of it, which includes a step-by-step guide to the process involved in becoming a qualified supplier, along with a list of contacts you might need to help you through the process. You can also find more information on our supply chain website. Our goal is to incorporate sustainability principles and standards into our nuclear design and engineering, project processes and criteria. It is important to understand the opportunities and impacts that can arise throughout the lifecycle of our stations. A large proportion of their impact is down to the way they are initially designed and built, and in the design and construction of modifications during their operating lives. We are therefore working to embed sustainability principles and standards into our new generation builds and other projects right from the beginning. Our Health, Safety and Environmental Standard sets out how we will seek to achieve ‘Zero Harm’ throughout the construction of Hinkley Point C, and outlines the health, safety and environmental expectations for everyone involved in the construction and commissioning of the proposed new facility and associated developments.